Simon began banding at the age of 9 with Youth Marching Bands, an activity he continued until his thirties as player and instructor. 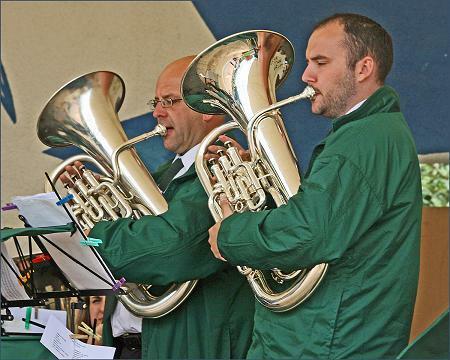 He didn't learn to play brass until his adult years, and joined DSB in August 2007. Simon decided to take a break from playing in 2013 and came back to play for us October this year 2017. Welcome back Simon. Norman Blades Award for the most improved player 2008. 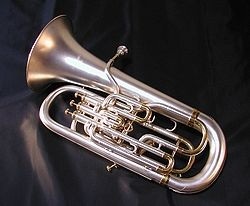 The euphonium derives its name from the Greek word euphonos, meaning "well-sounding" or "sweet-voiced" The euphonium is a valved instrument.